"Can CH ROANEDEN'S GODDESS DANIKA CGN RE AGN CD"
Tali is our pick girl from the Finn x Phoebe "Goddess" litter. She is a compact girl, with a fun-loving spirited personality. Tali loves the performance venues ! Tali finishes her Canadian Championship with two majors, with only a few weekends of showing. 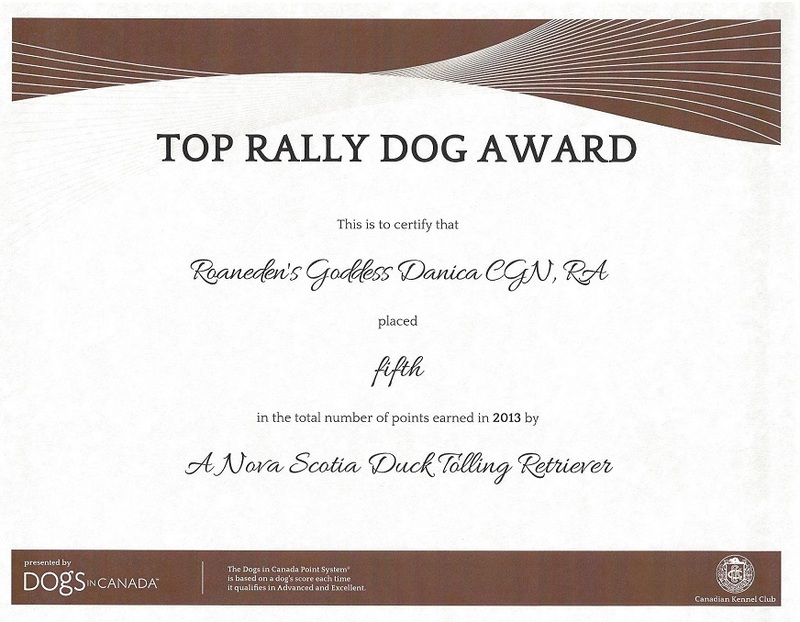 She has earned her Rally Novice title, with scores of 99 100and 100 and two first placements. 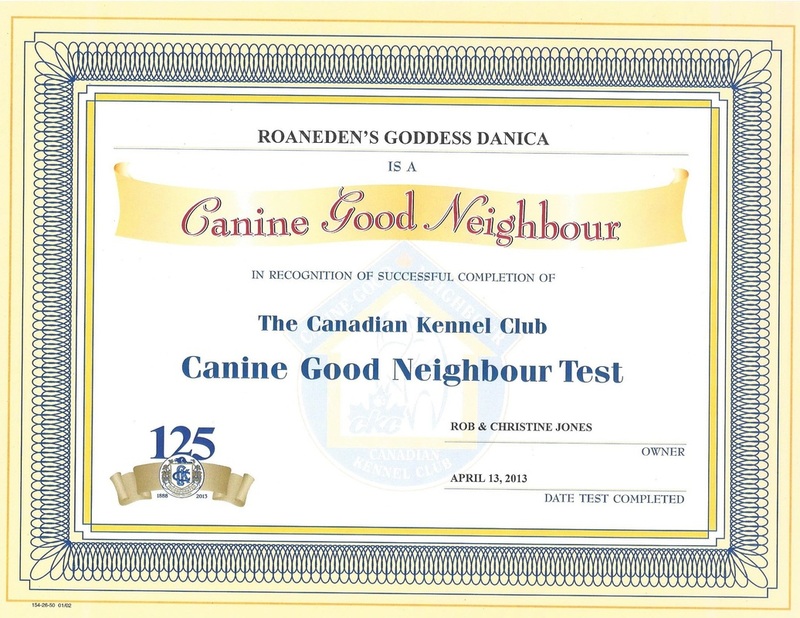 She easily passed her Canine Good Neighbour Award. Tall is a fabulous agility dog and loves to work! She is friendly and outgoing, and loves everyone. 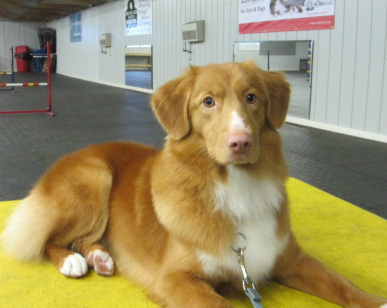 Tali achieves #5 Toller in Canada for Top Scores in Rally Obedience for 2013!!!! *August 2014 Tali earns two Rally Excellent passes! 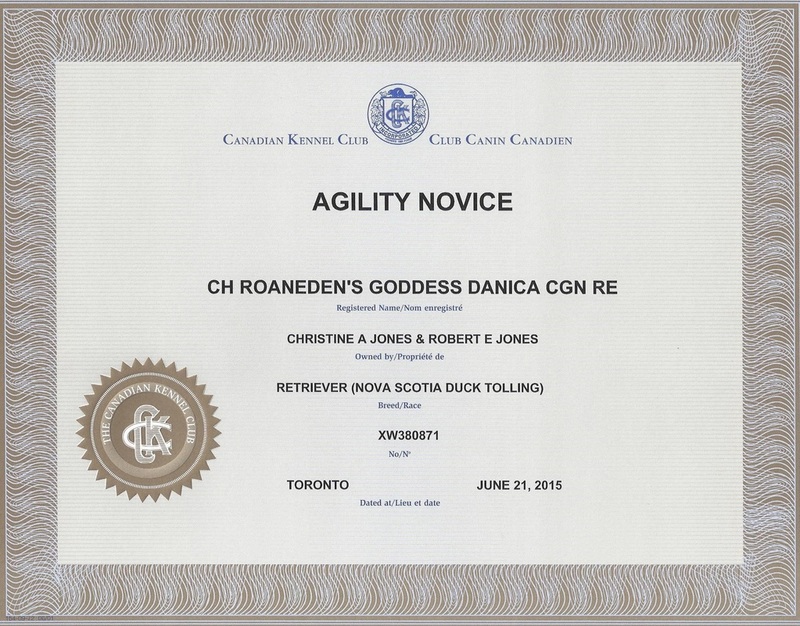 *June 2015 Kingston Kennel Club - Tali earns two more Agility Standard "Q" 's to finish her CKC Agility Novice Title! Tali also earns a high in Class for Novice obedience and her first CD qualifier! *June 2015 - Hamilton Kennel Club - Tali earns two High in Class Qualifiers with a 95.5 to complete her Companion Dog title!